Saint Francis Wolf Sanctuary exists to provide permanent placement to rescued wolves and wolfdogs – most of which were once privately owned as pets. Though each of our animals has their own unique story, the overall theme is often the same… The reality is that a vast majority of animals that end up in sanctuaries have a history of neglect and abuse, and while good, responsible owners certainly do exist, they are often the exception, not the rule. It is for this reason that we feel the need to educate our guests about the many challenges of keeping wolves and wolfdogs in human homes. Wolves – and therefore wolfdogs – require very specialized care. Even at the Sanctuary, where we do everything we can to give them the quality of care that they deserve, we are not able to replicate what their lives would be like in the wild. Wolves require a lot of space to roam. In the wild, Grey wolves can inhabit territories of up to 100 square miles, while the Arctic sub-species will occupy areas 3-10 times that size! Wolves rely heavily on this space to provide them with valuable resources like food, water, and shelter. In order to protect those necessities, the pack is known to frequently patrol the territory by roaming along the perimeter and scent marking in order to ward off neighboring packs.In reality, it is next to impossible for the average person to provide an animal with that much space, and since wolves instinctively seek to roam and patrol, putting them in a smaller area can lead to extreme stress and anxiety. 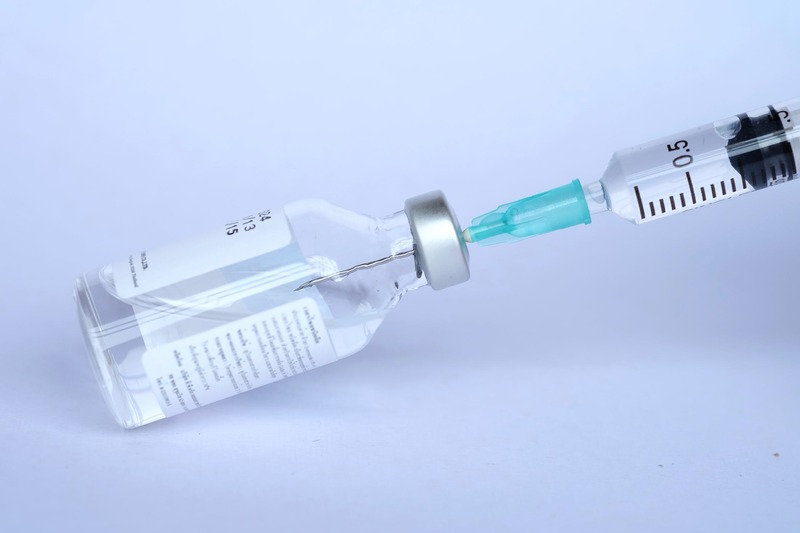 It is not uncommon to see animals with too little space expressing negative, stereotypic behaviors such as excessive pacing, over grooming, or even self-mutilation. Wolves eat a special diet. Unlike dogs – whose digestive systems have been adapted over hundreds of thousands of years – wolves are unable to process grains, meaning they cannot sustain a healthy life by consuming dog food. As true carnivores they require a raw meat diet to truly thrive; not just meat, but organs, bones, and additional supplements to mimic things like fur, feathers, antlers, and hooves that they would also be eating if they lived in the wild. Providing this special diet can be difficult for the average person, because wolves and wolfdogs don’t just require meat… they require a lot of it! In their natural environment, these animals live a feast-and-famine lifestyle in which they may not eat for days. When they do finally make a kill, however, they will absolutely gorge themselves, consuming up to 25% of their body weight in a single sitting. Even at the Sanctuary, some of our animals eat close to 20 lbs. of meat per week. Wolves are social animals. It is widely known that in the wild wolves live in groups called packs, and they rely on this social structure to survive. Packs work together to hunt, guard their territory, and raise and protect their young. But a pack isn’t just a group of wolves that come together randomly – they’re a family in the truest sense of the word. And as a family, they don’t merely rely on one another for survival, but for the companionship that is absolutely vital to their health and well-being as a species. At Saint Francis Wolf Sanctuary we have found that pairing our animals is easier than creating artificial packs. We always match up a male and a female (spayed and neutered, as we don’t take part in breeding), and we even tend to choose opposite personality traits – for example, a dominant animal and a submissive one – in order to maintain a balanced hierarchy in which there is the least amount of competition. This system has worked well for us for over 15 years, and many other facilities do the same. We often joke that we are the match-makers of the wolf world, but sometimes even we don’t get it right. That is yet another obstacle to owning animals like these. Wolves are not domesticated. There is a big difference between the words “domestic” and “tame”. Domestication is a sustainable, multi-generational process by which humans significantly influence the reproduction of another species through structured, selective breeding. Dogs are domesticated, and through this process – which occurred over hundreds of thousands of years – they have come to be known as mans’ best friend. They are loving, loyal companions. Wolves, as we know, are the predecessor of dogs, but they don’t often possess these qualities. They are wild animals, and by nature, fearful of human beings. An animal that is tame may not be fearful of humans, but they will still possess their wild instincts. The truth is it is not possible to domesticate an animal in a single generation (or even a few). And while it’s true that a wolf can be tamed, this is far from easy. Taming – or socializing – a wild animal requires an outstanding amount of time and dedication. It requires patience, persistence, and acceptance of the fact that a relationship may never happen or may change. Many people attempt to socialize animals at a very young age, when they are smaller, safer, and more reliant on human care. It is often easier to develop a relationship with an animal that grows to trust and depend on you as a source of safety and security. Unfortunately, even if a human is able to tame a wolf or wolfdog, there is still a massive amount of unpredictability due to the retained wild instincts. Captive wolves – and therefore wolfdogs – can be dangerous. Wild wolves are – by nature – fearful of humans, and as a result rarely come into conflict with them. In fact, there are few documented reports of wild wolves attacking humans, but cases regarding captive wolves and wolfdogs are incredibly common. There are several reasons that this distinction exists. The first reason involves the concept of “Fight or Flight”. Remember that wolves are fiercely protective of their territories but also very fearful of people. So if a human were to enter a pack’s home range the animals would have a decision to make: protect the territory (Fight) or run away (Flight). In cases involving healthy wild wolves, the Flight Response almost always wins, but when a captive animal is confined to a much smaller space, fleeing isn’t usually an option, and they are forced to respond differently than they normally would. We hear stories frequently about pet wolfdogs that exhibit fearful, unpredictable, or aggressive behaviors toward people outside of their household. This can make it difficult for owners to safely take their exotic pets out in public or even have guests over. The second reason that attacks are more common in captivity deals with the wolf’s prey drive, which is their instinctive urge to find, pursue, capture, and kill prey. All carnivores have a prey drive, as it is essential for their survival, and wolves are very opportunistic in choosing their game. In the wild they are known for singling out the “easy kill” by focusing on animals that are sick, injured, old, young, or generally weak. In captivity this remains true. In the last few years alone there have been several stories that made national news in which a pet wolf or wolfdog seriously injured a human, many of which were children – the easy prey – and this selective behavior doesn’t just affect humans, but other animals as well. Wolves and wolfdogs are rarely able to live among other pets, particularly those that are smaller than them. 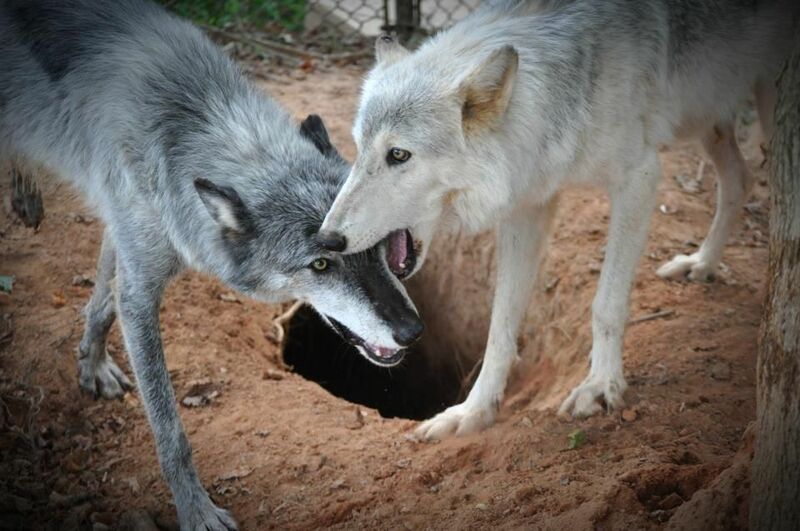 The third reason deals with sexual maturity, which is expressed much later in life in wolves and mid to high content wolfdogs, and comes with many more behavioral changes. Once wolves start to undergo sexual maturity in their natural setting, they begin preparing to break off from their family pack to find a mate, secure a territory, and start a pack of their own. It is at this point in their lives – especially during the breeding season – that they will begin acting out and challenging rival animals for the above-mentioned resources. In captivity, it is often at this point in an animal’s life – between 2 to 4 years old – that owners begin contacting us about needing a home for their pet. Owners frequently report issues like food-aggression, resource-guarding (including being extremely protective of their owners around other people or animals), dog-aggression, excessive marking (urinating/defecating) in the house, destructive tendencies, escaping containment, and finally, there are often reports of animals challenging members of the household by demonstrating assertive/dominant body posturing, facial expressions, and vocalizations. It should be noted that while many of these solutions seem like a legitimate option for most people, they often are not. Shelters and Animal Control agencies will rarely take in wolfdogs due to the high liability of working with such animals, and even fewer will feel comfortable trying to adopt them out to homes, meaning owners are either turned away or animals are taken in to be euthanized. Sanctuaries and similar rescues are constantly full due to the high volume of animals that require rescue – a number that grows with each passing year. Wolves are master escape artists and require a special type of containment. These animals can jump, climb, or dig their way out of almost any enclosure and are smart and observant enough to quickly figure out how to open most types of gates. Many of the animals at Saint Francis Wolf Sanctuary know how their gates work and periodically test the latches and locks.We are able to ensure a high level of security by constructing our enclosures in compliance with USDA guidelines. Enclosure walls are built with heavy duty chain link or horse panel and they are at least 10 feet high on all sides. In addition, we utilize 45 degree “lean-ins” that are attached to the tops of the walls and prevent animals from climbing up and out of their enclosure. We also have dig guards buried along the perimeter of enclosure floors. These extend inward a minimum of 3 feet and combat any attempts to dig out of containment. Some facilities may even utilize hotwire as an added preventative but here, we do not. Lastly, our enclosures are all constructed within a large Perimeter Fence, which will securely contain an animal if it escapes its primary holding for any reason, such as enclosure damage due to a fallen tree.Proper enclosures can be expensive, however, and most people cannot afford to build something like this. On average, our enclosures cost close to $25,000 not including the cost of labor, as we construct them ourselves. Many veterinarians refuse to service wolves and wolfdogs. Again, there is a huge liability issue among animal care professionals in regards to dealing with potentially dangerous animals like wolves and wolfdogs. Many vets are not comfortable with the idea of putting themselves or their staff at risk, let alone their clients or clients’ pets. This is a huge obstacle for any exotic pet owner to overcome because wolves and wolfdogs require essentially the exact same care as a regular dog would, but they often live longer, which means that owners should have a reliable form of veterinary care for at least 15 years in order to properly care for their pets. Wolves and wolfdogs may not be legal to own. 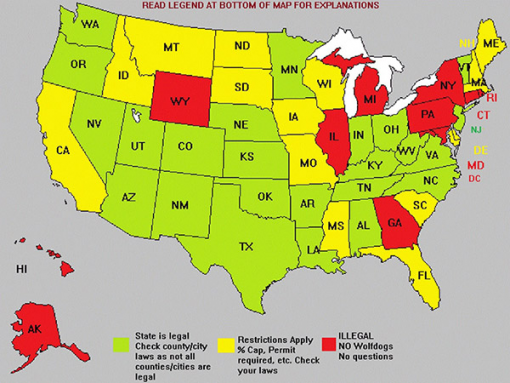 Exotic ownership laws are not uniformly regulated across the United States; in fact, laws may vary from state to state or even county to county, which is the case for us here in Texas. In instances where illegal animals are found, punishment is not usually a slap on the wrist or a fine, but immediate confiscation and/or euthanasia of the animal… Even if an owner is originally living in a legal area, people often move for a number of reasons and can’t always control where they’ll have to go, meaning they might end up in an illegal area in the future. This has been the case with several of our rescues, many of which were owned by extremely capable and qualified owners who were forced to surrender their pets for this exact reason. Across the country, a number of irresponsible owners and breeders falsely label their mixed-breed dogs as wolves or wolfdogs, often coming up with exotic sounding names to create a sense of credibility (Canadian Silverback, MacKenzie Valley, etc.) and even claiming that animals are mixed with critically endangered species like the red wolf or Mexican grey. These individuals are often seeking to boost their profits or their status, but the result of misrepresentation is extremely damaging. An animal seen wandering around with no collar is posted in a Lost & Found group on Facebook. 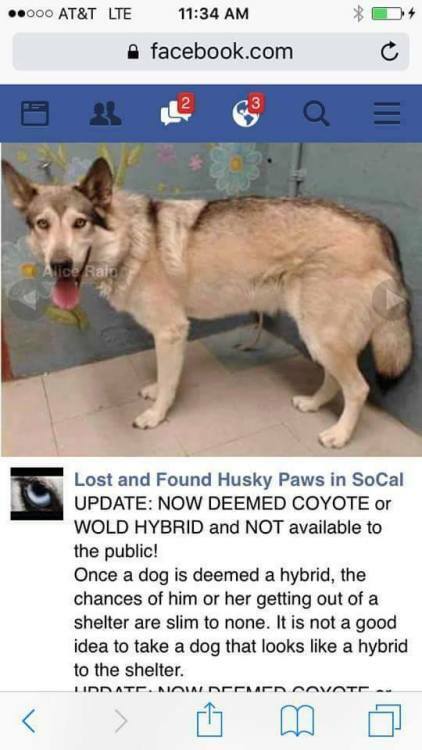 Someone in the group comments and claims that the animal is a coyote, wolf, or wolfdog, stating that they know someone who has one and it looks like just that… Suddenly, multiple people are commenting with similar claims and as a result, this animal – a regular dog – is viewed as a threat to the concerned citizens in the community. People may try to shoot and kill the animal, or have it picked up by Animal Control to be euthanized. This animal is likely someone’s pet that was dumped or escaped. It is likely friendly or perhaps not, but it’s not harming anyone or anything. However, because it now has a “wolf” or “wolfdog” label, its life is in danger. This animal is NOT a coyote or a wolfdog! 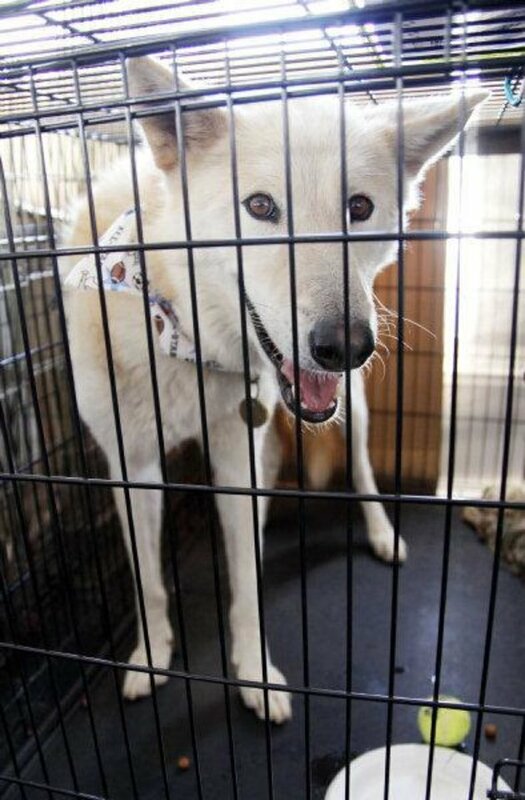 An animal is surrendered to a shelter and the owner claims it’s part wolf. Like the average person, most shelter workers are not experts in wolf/wolfdog identification, so they take the owner’s word for it and maintain the wolfdog label. The animal may be deemed dangerous and scheduled to be euthanized merely by virtue of its claimed content. It may be available for placement should a rescue or sanctuary agree to take it in; unfortunately, since it’s not actually a wolfdog, the chance of that happening is slim.This animal may have made someone else a wonderful pet, but because of misrepresentation, life will likely come to a quick and inevitable end. This animal is NOT a wolfdog! A “wolfdog” puppy is purchased from Craigslist, and the new owner is told that he/she must “establish dominance” and show the puppy who the “alpha” is. They are encouraged to pin the puppy down and hold its mouth shut, to bite its nose or ears, and even spit in its mouth (these are all examples of actual advice we’ve heard from people wanting to surrender their animals). As a result, the puppy grows up to be anxious, nervous, fearful, or even aggressive toward people.The owner reaches out to a rescue or sanctuary to surrender their pet, and when told that their “wolfdog” is a regular dog, they state that the animal’s behavior must indicate wolf content – it couldn’t possibly be a result of how they raised them. These are also NOT wolfdogs! In general, we find that a vast amount of people cannot distinguish wolves from dogs in regards to physical characteristics or behavior. Below is a list of myths that are often (inaccurately) claimed to be an indicator of wolf content. Myth: If it has golden eyes it’s part wolf – While wolves do have golden to amber colored eyes, so do many, many dog breeds. You would never assume that any of these were wolfdogs, even though they all have golden eyes. Myth: If it’s large, it’s part wolf – There are many dog breeds that are larger than wolves, so size is not necessarily an indicator of wolf content. Wolves are long, tall, and fluffy, giving them an enlarged appearance, but in fact, most wolves and wolfdogs are smaller (specifically in weight) than people assume them to be, with males ranging from 85-100 lbs. and females ranging from 70-80 lbs. on average. Myth: If it howls, it’s part wolf – Howling is an instinctive behavior that may be found in all canines including dogs, wolves, and coyotes. Most dog breeds do not howl as often or in the same way that wolves do, but they all possess the ability to do so. 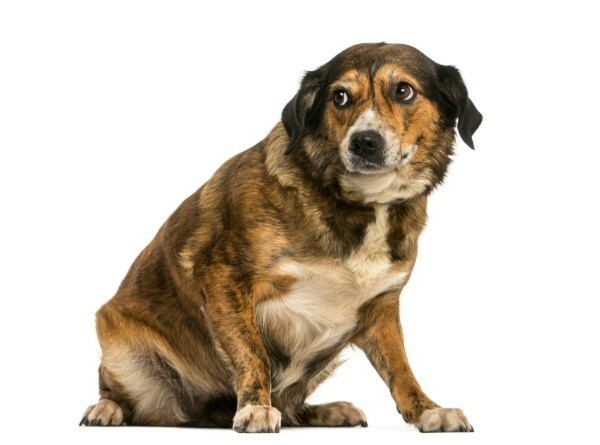 Northern breeds are most frequently known for “talking” and howling, but many dogs will do so in response to sirens or other forms of auditory stimulation. Myth: If it has a black-tipped tail or a black spot at the base of its tail, it’s part wolf – Again, many breeds of dog may possess these characteristics. Myth: If it’s anxious, nervous, fearful, or aggressive, it’s part wolf – Any animal may possess these behavioral qualities, especially animals that have been neglected, abused, or living as a stray. These are often the types of animals that end up in shelters and rescues, and this myth in particular has led to a number of wolfy-looking animals being wrongfully euthanized due to its association with wolf content. However, I bet you can think of at least one example of a verified dog that exhibits these behaviors and looks nothing like a wolf. You would never, in that case, claim that the animal could be a wolfdog purely based on behavior. Ultimately, misrepresentation seriously endangers the animal. Tens of thousands of dogs are euthanized by shelters every year because they were labeled “wolves” or “wolf hybrids” by their owners. For its own safety, please call your dog a dog! If you need help determining an animal’s wolf content, we’re happy to help.